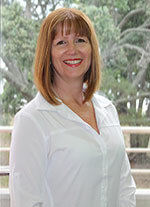 Leigh commenced her career working as a legal typist for the Browns Bay branch of the ASB Bank, before progressing to provide secretarial services in the legal profession in various roles over the past 25 years. Intermingled with this Leigh worked as personal assistant to senior managers in the film and television industry, before raising her two teenage children. Leigh joined Stevenson Campbell in 2006 in a part-time secretarial role progressing to a full time role in 2012. She assisted Richard Cantrell in 2013 when he took over ownership of the business, providing a smooth transition with clients. She currently provides secretarial support to Richard and assists in all other aspects of office administration. Leigh enjoys spending time with her family, running and reading.